More than 50 volunteers assisted with kitchen prep, cooking, serving, dish washing, set-up and clean up. 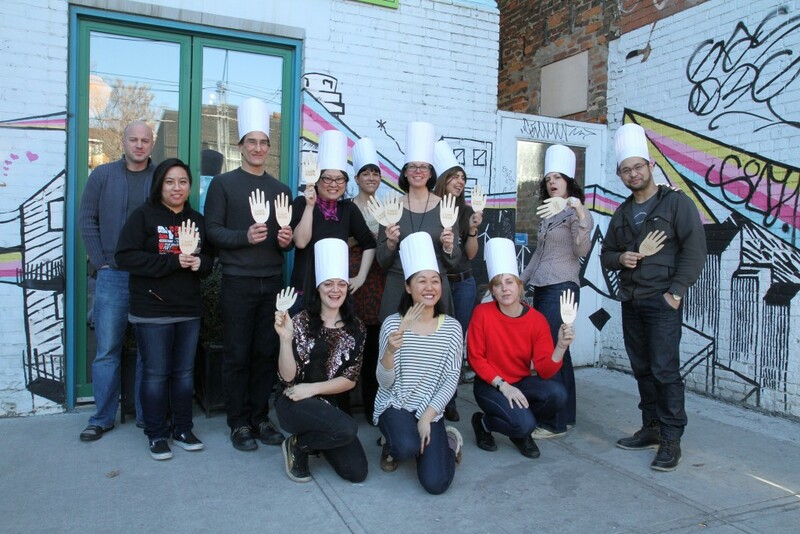 The Artists’ Soup Kitchen would not have been possible without their fantastic work and energy. The Raging Spoon, Buddies in Bad Times Theatre, and Toronto Arts Council. Thanks to Pizza Nova for providing a donation of dough for our Soup Kitchen on January 16th. Some of the volunteers from the February 6 Soup Kitchen posing outside of the Raging Spoon.